Is it included on new car? If not how much does it cost? yes. Check the website for more details. any idea if it can remote start the 2019 G63? It has to remote start the 2019 G-Class, because Mercedes Me remote starts both our 2018 G63s. 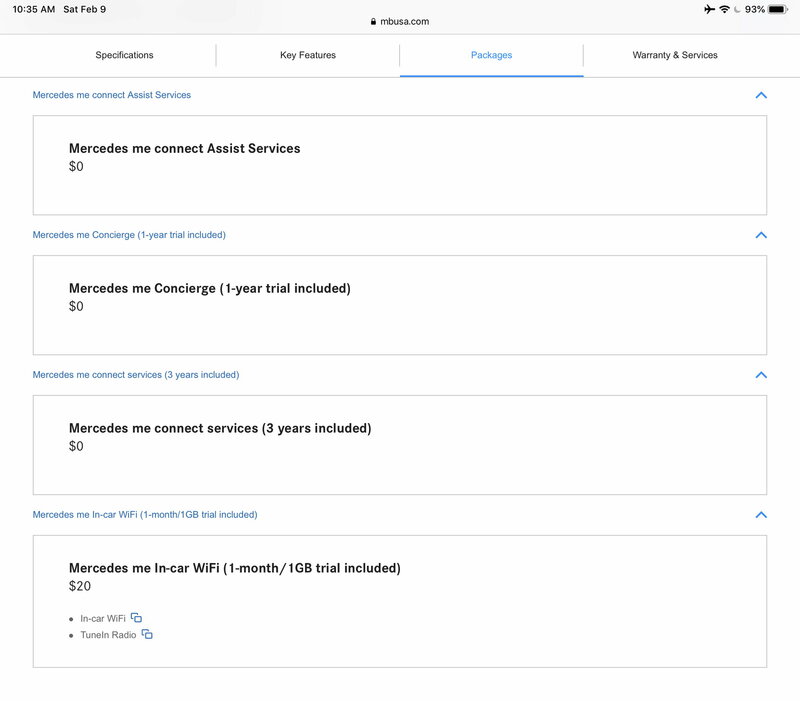 I had the older Mercedes Me app and had to download the Mercedes Me Connect app and go through the setup. Does remote start, fuel, speed warnings (which I set at 85mph during the 1000k break-in period. Also noted you are supposed to drive in Comfort mode during the 1000k period. It does remote start but I haven’t been able to figure out how to get it to preheat the cabin. The engine runs but the heat appears to be off - even if I leave it on high when I shut off the car. I am in cold upstate NY. It only runs for 10 minutes so most mornings I have to start it twice to get a 20 minute warm up. The car is cold when I get in but the heat comes on quickly as the engine is warmed up. Every other car i’we owned with auto start would either preheat or pre cool the cabin. If i’m missing a trick on how to do this, please let me know! On my 2018 G63, when I do Remote Start from the Mercedes app, the climate control is activated. I noticed that A/C does not run as strong and cold, nor the heat as hot and strong with Remote Start, but the climate for sure activates. Of course we are not as cold here in California compared to your NY, but we are now about 2 weeks of morning temps 28-32F (so literally freezing for So. Cal). Prepare to be disappointed. MercedesME is awful software / app. It only works if you have perfect 100% cell service and it is a blue moon. give it a go. In a couple days of trying to use the app you will find it easier to get dressed, put your boots on, find your keys, walk to the car, get in, turn it on. The app and the entire experience of the app is that terrible. the key fob should do this on a $160k car. Anyone else having issues activating the Mercedes ME features on the car (after dealer activation and portal sign-in)? Mine shows up and still not getting all the services. Ours was working great when we got the car in November but last few weeks can no longer send map directions thru the send to benz part of the app. When it worked it was great.